Rocket Matter Knowledge Base SettingsHow to view your Rocket Matter Payment History. 2. 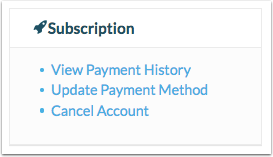 Listed under 'Subscription', click on 'View Payment History'. 3. Review your current balance, next billing date and payment method on file. Next Billing Date: The next billing date. 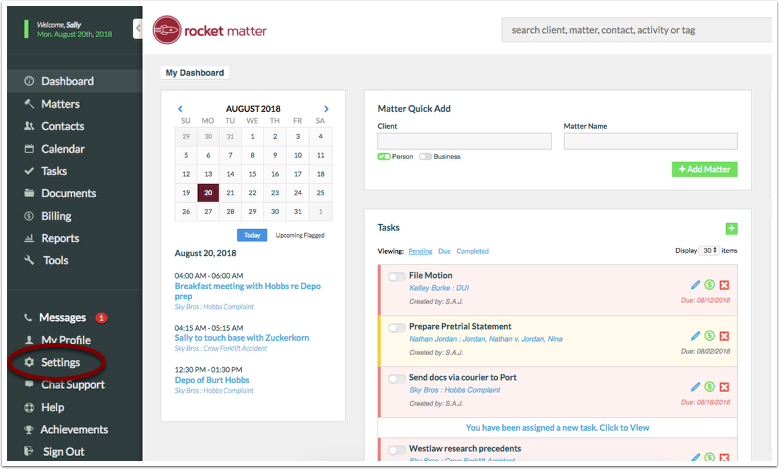 For questions on how your billed, contact your Success Manager who can review the subscription agreement or your contract terms with you at 888-432-1529 or email support@rocketmatter.com. Payment Method: The record of your credit card, displaying the last 4 digits of the credit card on file. Rocket Matter's billing system runs automatically every evening around midnight. Any charges for new users or updated credit card information will be reflected the next morning in your payment history. Prev: How to update my payment information for my Rocket Matter account. Next: How to deactivate a user.